An original design by Andrew Newman for Cape Card. One greeting cod with envelope in a clear plastic sleeve is included. 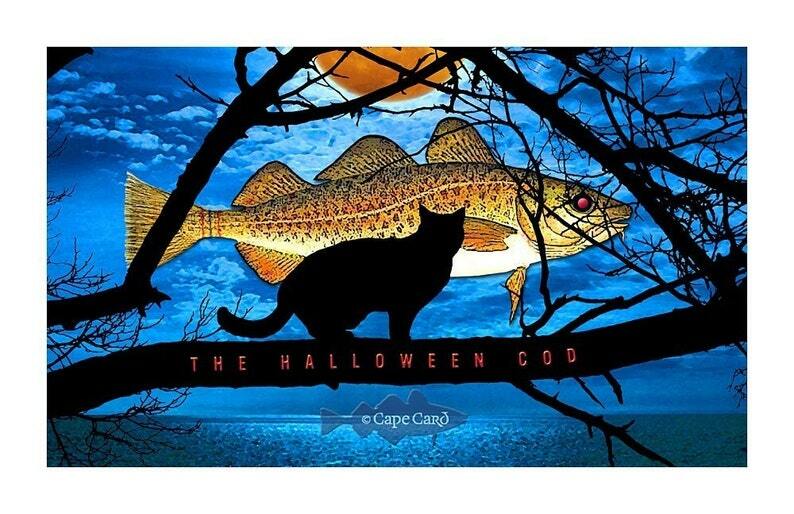 The "cod" is 8.5 x 5.5 inches, and is printed in full color on heavy coated stock. Inside is the orange moon with the creepy cod and the words "Happy Halloween". Other designs are available at www.capecard.net. Watermark does not appear on actual "cod". Illustration copyright © 2008 by Andrew Newman. All rights reserved.